Viknesh Vijayenthiran June 9, 2011 Comment Now! 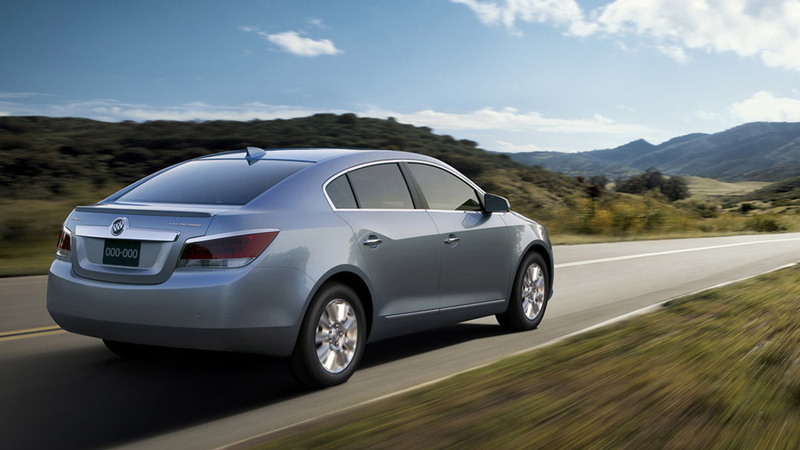 We’ve known about the 2012 Buick LaCrosse eAssist mild-hybrid luxury sedan since late 2010 but GM only released the all-important pricing details for the car this week, with its sticker coming in at $29,960 before an $860 destination charge. Interestingly, GM has made the advanced eAssist drivetrain the standard option on its latest Buick LaCrosse, though a 303 horsepower and 264 pound-feet of torque 3.6-liter V-6 is available at no extra cost on some trim levels. 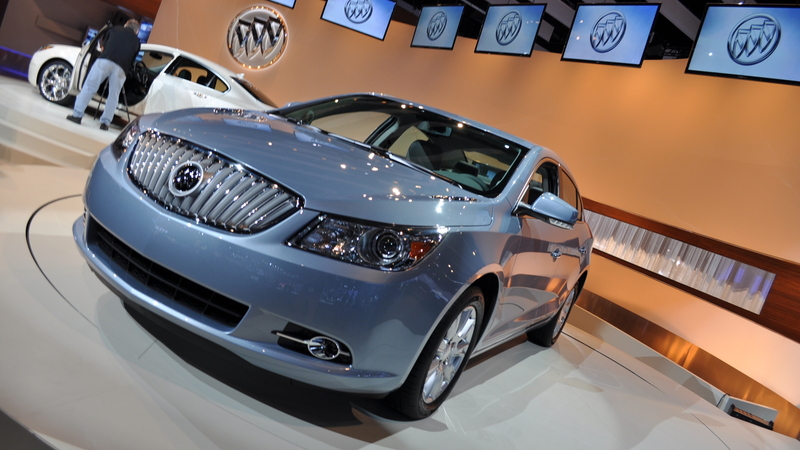 The LaCrosse also comes with front-wheel drive as standard, though an all-wheel drive option will also be offered. As for the eAssist equipped model, GM is predicting an improvement in fuel economy over the current 2011 four-cylinder LaCrosse of at least 25 percent, or by about 6 mpg in the city and 7 mpg on the highway. 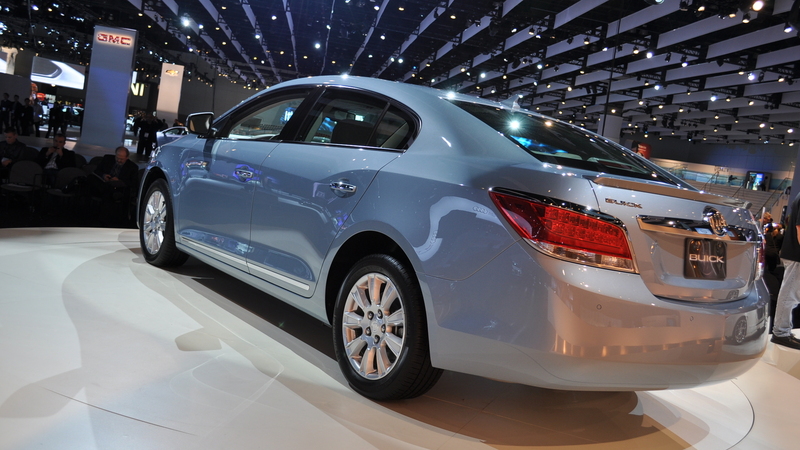 Though final EPA estimates are yet to come in, GM’s own estimates for the 2012 Buick LaCrosse eAssist are 25/37 mpg city/highway. Importantly, this is better highway fuel economy than the Lexus HS 250h and Lincoln MKZ Hybrid duo. The latest version of GM’s eAssist technology pairs the LaCrosse’s 182 horsepower 2.4-liter four-cylinder engine with an electric motor rated at 11 kW (15 horsepower). Unlike a full hybrid system, eAssist cannot power a vehicle on electric power alone but works to aid the engine during high load situations and help reduce fuel consumption. The electric motor also acts as the car’s alternator-generator, topping up the batteries when needed and running ancillary features like the air conditioner. The system also features a regenerative braking system to help charge the car’s air-cooled 115 volt lithium-ion battery pack. Standard features include dual-zone climate control, 17-inch alloy wheels, and Bluetooth and USB connectivity. 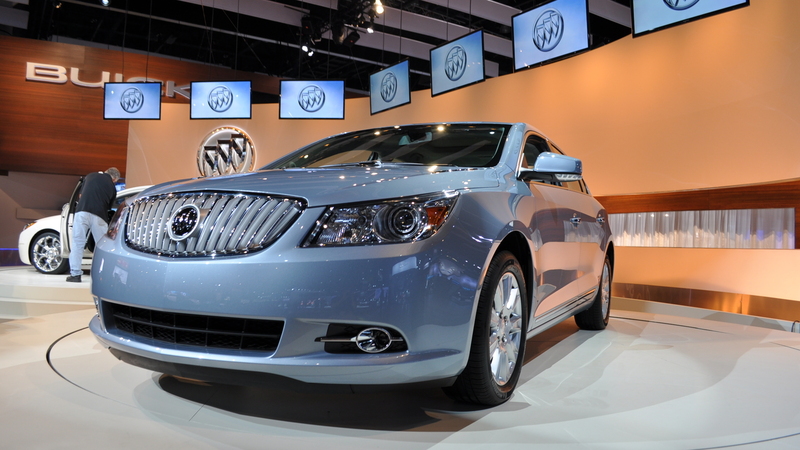 Later in the year, the LaCrosse eAssist will come with standard Buick IntelliLink, which uses Bluetooth or USB to connect the driver’s smartphone to a new 8-inch touchscreen infotainment system. It will enable streaming stereo audio from the phone through services like PANDORA and Stitcher, as well as full control of a paired device through the touchscreen display or steering wheel mounted buttons. 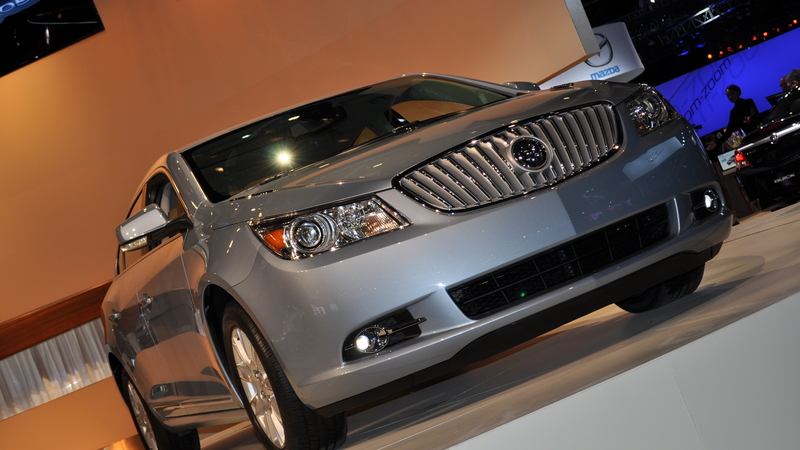 The 2012 Buick LaCrosse eAssist will hit showrooms in the next several weeks. In the meantime, click here to read a first drive report over at our sister site GreenCarReports.